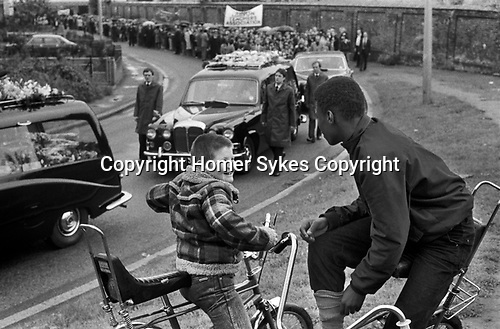 Blair Peach funeral Southall west London 1979. The funeral cortege makes its way along through Southall on route to the cemetery. 10,000 took part.